This pongal is a Prasadam / Neivedhyam prepared on Thai velli kizhamai and Aadi vellikizhamai. Married girls from the home are invited for lunch on thai and aadi fridays and this pongal is served first. Some people prepare it mushy as vennpongal, but in our home, we make like normal rice and mix it with a dollop of ghee and kuzhambu. 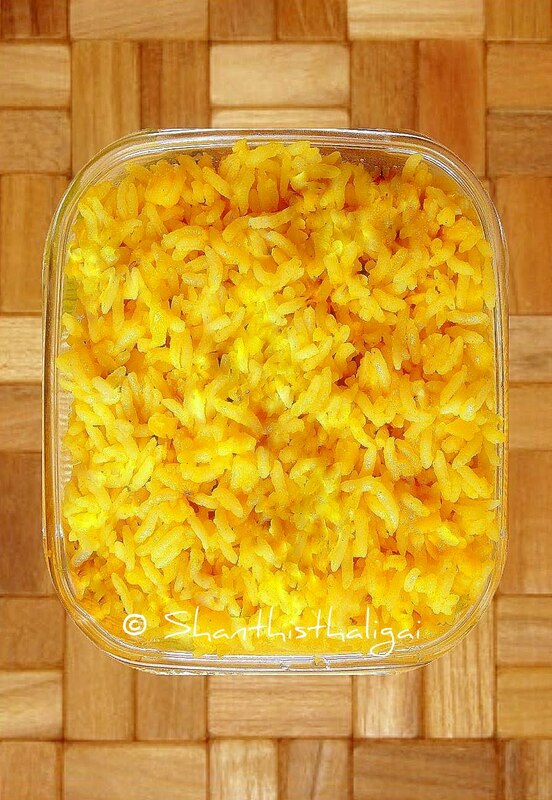 Pressure cook rice and toor dal alongwith turmeric powder, hing and salt for 3 whistles, simmer for 2-3 minutes. When pressure is released, take out from the cooker, transfer to a serving bowl. Top it with ghee while serving. Serve hot with kuzhambu.